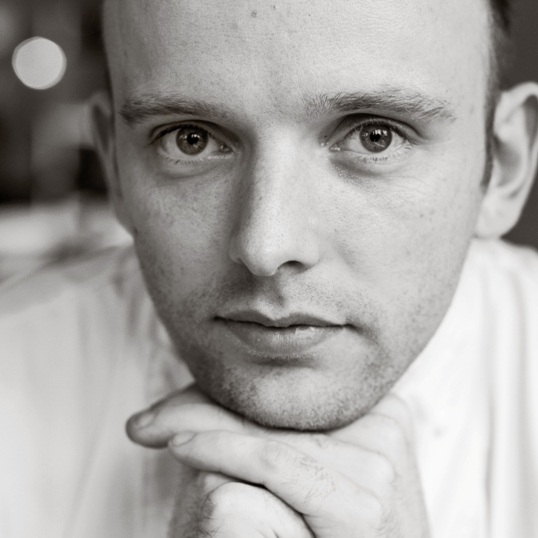 Earlier this year Chef Robby Jenks won a prestigious Acorn Award – affectionately known as the 30 under 30, the Acorn Awards are celebrating their 30th Anniversary and have sought to recognise the brightest prospects in the hospitality industry. Since 1987 a total of 870 Acorn Awards have been presented to individuals including Jason Atherton, Marcus Wareing and John Campbell, former Head Chef at the Vineyard who gained the property two Michelin stars. Whilst the fish is resting begin making your coconut cream sauce by sweating your shallots in 50g of butter ensuring that no colour is added during this process. Add a pinch of salt and your curry powder and cook for a further 2 minutes. Into the pan add your fish stock and reduce until it is halved. Once mixed add the cream and bring to the boil and reduce the sauce to your preferred consistency before pass through a sieve and adding the remaining 25g of butter and seasoning to taste whilst whisking. For the cauliflower purée blanch your half of a cauliflower until soft, drain and place in a blender and blitz until smooth. Then return the mix to the pan adding 100g of butter and cook on a high heat until caramelised. To create velvety smoothness in the purée blend for a second time and pass through a sieve. To dress the remaining of the cauliflower blend using 600ml of olive oil, 400ml of lemon juice, 1 sprig of thyme and a diced bulb of garlic. Cut three quarters of the cauliflower left into florets and mix with some of the dressing over a low heat. Using the last quarter of raw cauliflower finely shave into the dressing a leaving to lightly pickle while cooking the fish. Once the fish has rested for eight hours pan fry in a little oil until golden brown and place into the oven for 2 minutes then turn over and cook for a further 2 minutes until cooked. 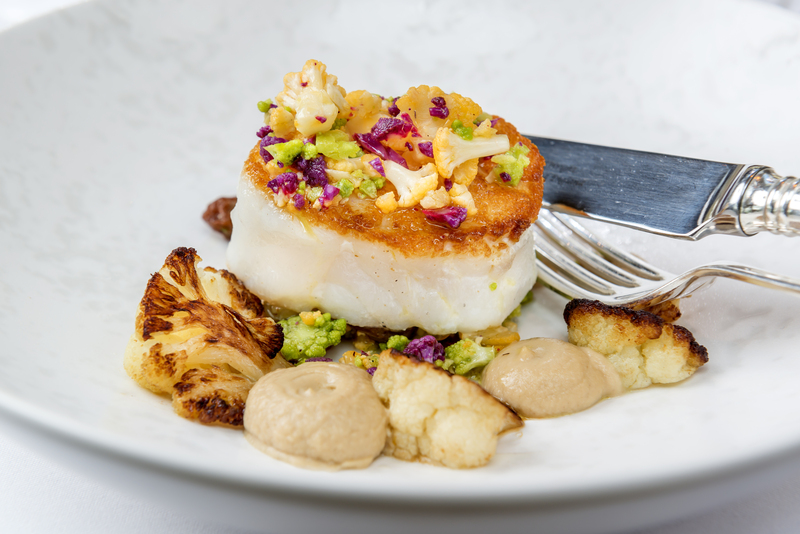 To serve your dish place the roasted cauliflower mix and puree in a bowl with the cod on top then add your raw cauliflower and sauce to finish. Robby has been at the helm of the kitchens at The Vineyard since February 2016 and has brought with him a wealth of experience and rich culinary background from working in some of the UK’s most gastronomic hotels, including Gidleigh Park under Michael Caines and Whatley Manor with Martin Burge. An hour from London, in a quiet part of Berkshire, The Restaurant at The Vineyard continues to make waves in the culinary world under Head Chef Robby Jenks. The property is a 5-Star Relais & Chateaux hotel and spa, renowned for its impeccable service, 3 AA Rosette restaurant and award winning 30,000 bottle wine cellar. Led by Chef Jenks, the menu is inspired by the freshest seasonal ingredients and the simplest of combinations. The property is owned by Sir Peter Michael, who also owns the highly regarded Peter Michael Winery in California and displays numerous pieces of his vast art collection. 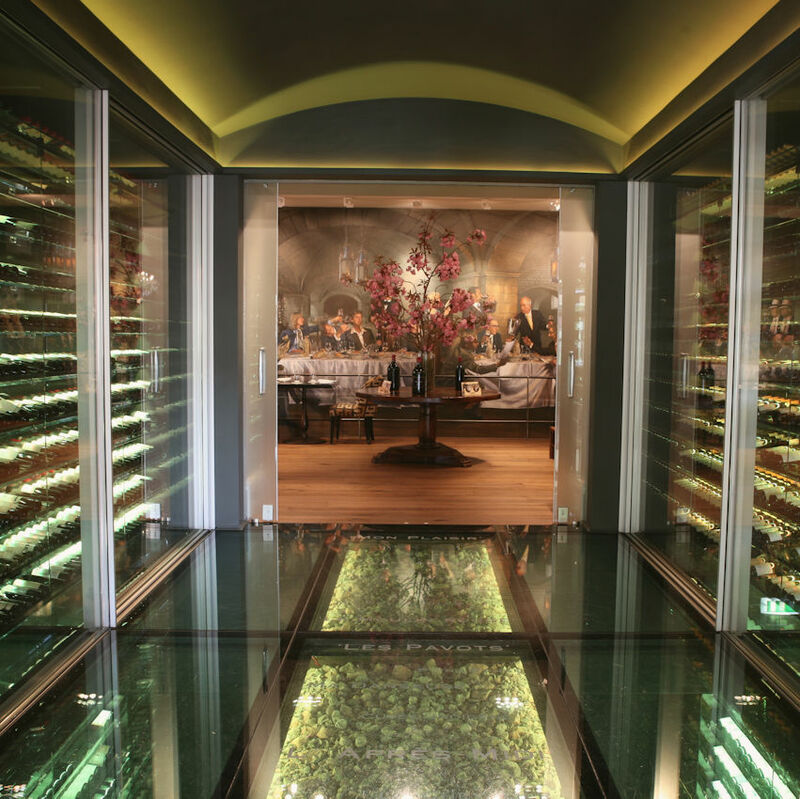 The dining experience is refined and luxurious with an extensive wine cellar of over 30,000 bottles of old and new wine. The Club Member Offer: Members enjoy a complimentary glass of sparkling wine on arrival when having lunch Monday to Friday and dinner Monday to Thursday. The sparkling wine served is Schramsberg, Blancs de Blancs, Napa Valley, CA 2012. Click here to book or for contact details.